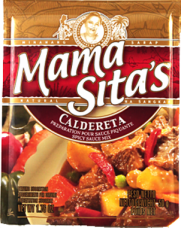 A simple Filipino dish with potatoes, bell peppers, and Mama Sita’s Menudo/Afritada Mix. Heat the oil and fry chicken until golden brown. 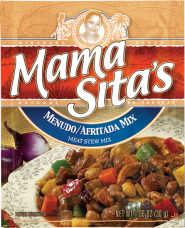 Pour the dissolved Mama Sita’s Menudo/Afritada Mix and cover. Bring to a boil and simmer until the chicken is done, adding water if necessary. 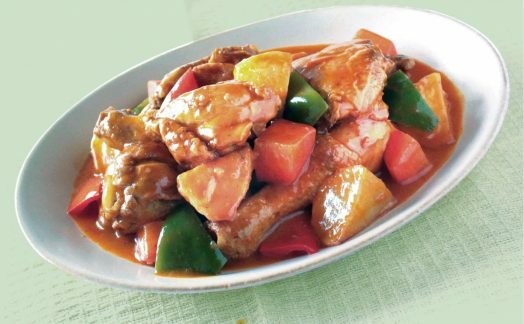 Add fried potatoes, bell pepper and green peas. Simmer for 2 minutes. Serve hot.